Welcome to the Bambini blog! 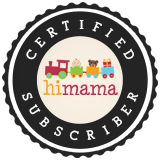 This page is where you'll find articles on parenting, homemaking, time management, childcare, and much more. New content will be added regularly, so make sure to check this page often! If you don't want to miss a post, we invite you to follow us on our Facebook page where we share all of our blog posts and other helpful content. We took the opportunity to announce our new name at our Annual End of Summer Carnival. Come take a look at some pictures from the carnival, and read more about our new vision of child care. We have some exciting news to share! We’re on a journey to shift our vision of child care. Here’s why and what to expect over the next year.